The short chilly days of winter have the tendency to induce fantasies of warm tropical holidays where you can lay by the pool, feel the warmth on your limbs and thaw out. In Australia, the first destination that comes to mind for such an escape is usually Queensland – like the TV ad used to say, “Beautiful one day, perfect the next”. There are countless amazing hotels and resorts that will fit the bill, but we say if you’re going to have a tropical holiday, why not do it in style? 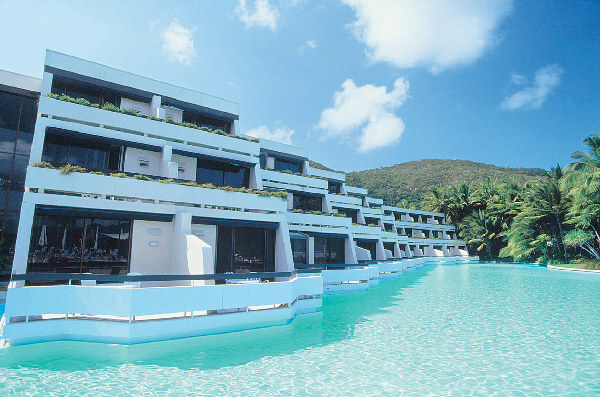 Even looking at the aerial image of Hayman Island‘s magnificent and iconic saltwater lagoon pool makes us feel all warm and fuzzy – even on the coolest of days. Plenty of travellers seem to agree, with Hayman winning a swag of awards for its superior accommodation and facilities. Just recently it took home the Best Australian Resort for the fifth year in a row by Luxury Travel, and Best Resort Accommodation from The Australian Tourism & Travel Awards. 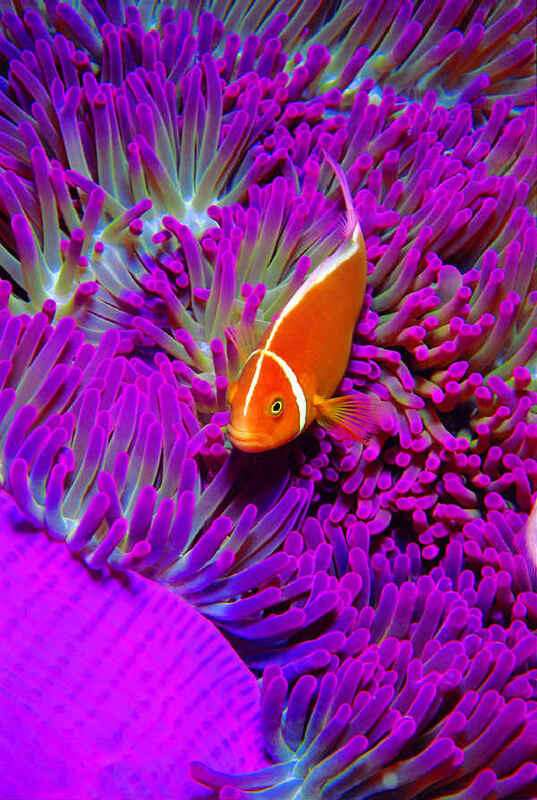 The only thing that’s more breathtaking than the resort itself is the location – situated smack bang in the middle of the world-famous Great Barrier Reef and Whitsunday Islands, where underneath the crystal clear water a world of amazing marine life is waiting to be discovered. 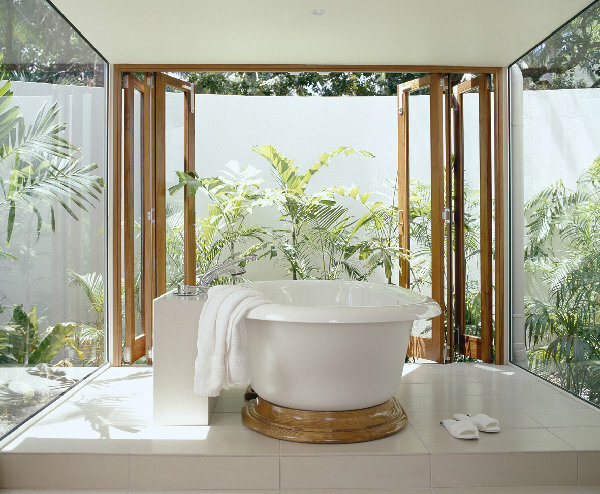 The island itself perfectly balances gardens that are landscaped to perfection with the natural environment. There are plenty of opportunities to spy the native white cockatoos, painted lorikeets, kookaburras and herons. There are also endangered Proserpine rock wallabies that benefit from the resort’s breeding program. There’s a variety of accommodation available, with 212 rooms, suites and penthouses, all with private terraces or balconies. There’s the Retreat Wing, for those who want a lush garden outlook, the Pool Wing, Lagoon Wing and Beachfront Wing. 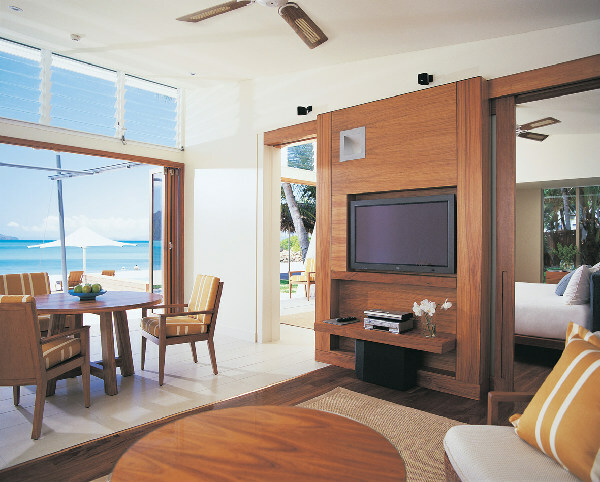 Those lucky enough to have a suite will have a personal concierge service, while the Beach Villa and penthouse guests get full butler service. Just note, some of the retreat and beachfront accommodation will be unavailable till December due to renovations. As you expect of a resort of this calibre, there’s plenty to do if you feel energetic. Besides the obvious relaxing by the pool or snorkeling and scuba diving at the reef, there’s also complimentary catamaran sailing, paddle skiing and windsurfing as well as water-skiing, wake boarding, sea kayaking and inflatable tube rides. Off the beach there are five tennis courts, squash courts, a gym, croquet, table tennis, badminton, billiards, a nine-hole putting green and golf driving range. If you’re a mad golfer, you can take a ride on the Heli-golf helicopter, which will take you to the prestigious eighteen-hole Turtle Point Golf Course nearby. For something a little more gentle, you can take yourself on a self-guided art and garden audio tour or a guided kitchen tour where you can check out the preparation areas, the chocolate room and the wine cellar. 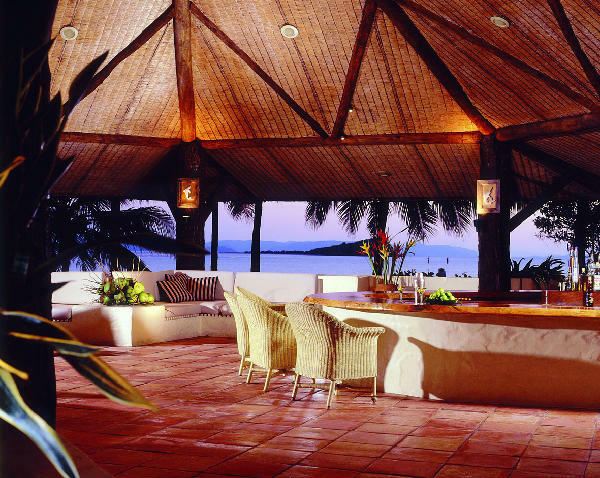 You can also join the Hayman Culinary Academy Cooking Classes or learn the art of cocktail making. What else to do on these lazy summer days? There’s the magnificent day spa with dreamy sounding treatments such as the Ocean Massage that you can have IN THE WATER! 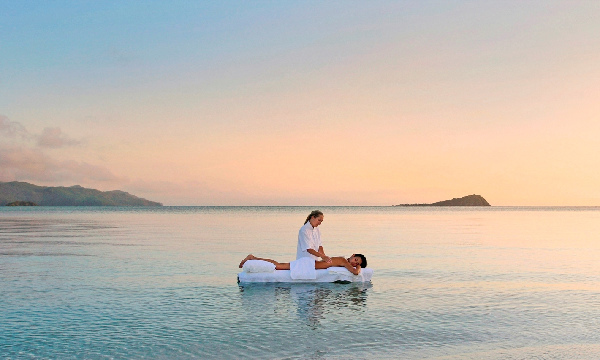 Or if you prefer your treatments on dry land there are the beachfront ocean view massage pavilions. Bliss! Or you could go shopping in the Hayman Aracade or feast in one of the bars or delicious restaurants that specialise in Asian, European, Modern Australian or seafood dishes. 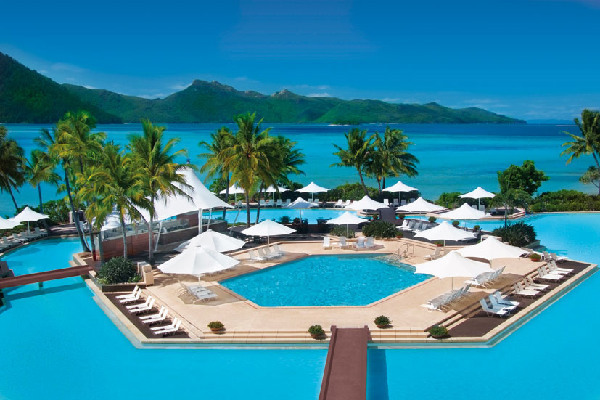 You don’t want to miss the Hayman Pool Bar, where you can have lunch or a drink by the beautiful pool – and, of course, there’s in-room dining and picnic hampers available on request. One divine idea is to dine in one of the resort’s cabanas where you can overlook the tranquil gardens, an exquisite waterfall or Hayman Beach. Completely indulgent and very romantic. So with all this luxury and relaxing, do you have to leave the kids at home? Not likely. 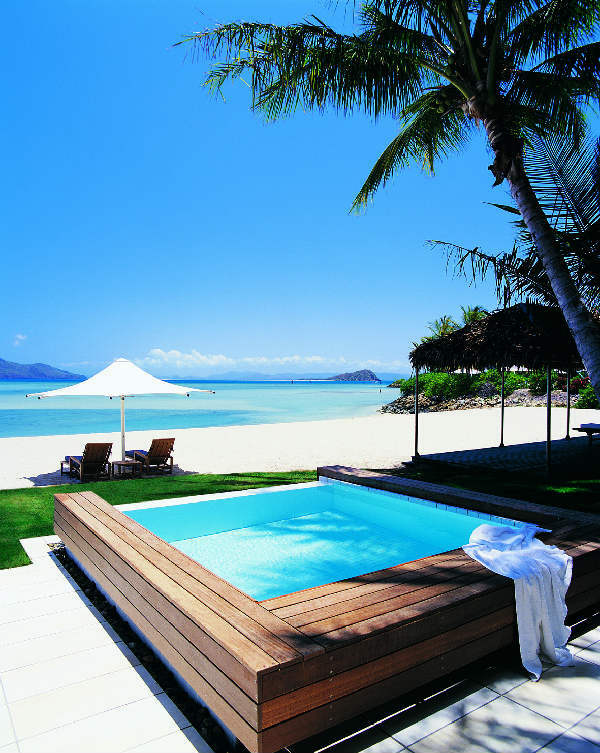 Hayman Island is on top of all that too. In fact, it was named leading Family Resort Australasia in 2008 by the World Travel Awards. There are special children’s menus and there’s a creche for children aged six weeks to five years, and a Kids Club for the five-year-olds to twelve-years-old for an extra fee. At the Kids Club they get to enjoy snorkeling, speedboat rides, arts and crafts and even etiquette classes! Babysitting services are also available by arrangement. Like we said – beautiful one day, perfect the next! We’ve got loads more fabulous resorts and destinations in store. Got somewhere you’d like us to explore? Just leave a comment below.